The Home of the Brave isn’t just a verse in the national anthem, it’s also a home for homeless vets in Milford. And on the property is a community garden that’s doing much more than just supplementing vets diets. It’s supplying new opportunities to the heroes who live there. We’re told most of the vegetables before the garden was planted was canned goods. 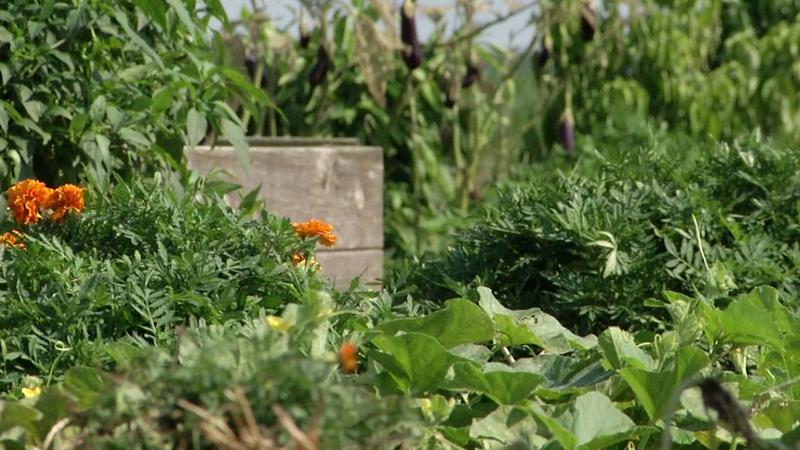 But now, veterans can go out the door and pick fresh home-grown veggies. Nick Brown, a master gardener and veteran himself, came to the home this spring with the idea of starting the garden to help feed the vets. “Fruits and vegetables for 23 individuals is very pricey, so a lot of times we go with canned which obviously isn’t as healthy as fresh,” said executive director Jessica Finan. Not only does the garden at the Home of the Brave help to feed the veterans who are housed there, but we’re told it’s a way for them to improve their skill set. Veterans like Averell Johns, who served as a navy reservist. He has been out in the garden almost every day doing everything he can to help out. “He’s learning, he’s doing something with his mind. Getting out of the building. And I think he may even be developing some job skills for when he moves on from here,” said master gardener Nick Brown. “From Nick, the master gardener over there, oh wow, I’ve learned a lot from him,” said Johns. The facility houses fifteen male veterans, with another eight female veterans and children housed at another facility just down the road. And the hope is that the garden can continue to grow and eventually bring in money for the home, or help other local organizations in need. “Could be that we get a stand at one of the farmers markets, and generate some income for the facility. Or as another alternative, we might be able to support food banks in the area,” said Brown. The house in Milford is always looking for donations. We’re told right now they are in need of linens for twin beds, socks, pillows and much more.